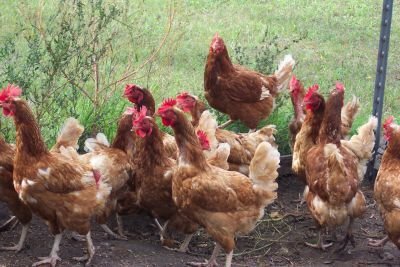 The approach of winter marks the beginning of the high-risk Avian Flu season (also known as ‘bird flu’ or ‘fowl plague’) for commercial poultry keepers. With UK chicken, duck, goose, turkey and wild bird flocks susceptible to H5N8 HPAI avian influenza now is a good time to understand what those letters and numbers mean for you. Avian Influenza is a notifiable bird disease affecting wild and captive birds and poultry. ‘Notifiable’ means that if you suspect an outbreak in your birds, you must notify Defra Rural Services (03000 200 301). Failure to do so is an offence. Bird Flu is caused by a virus of the Orthomyxovirdae group categorised into 4 major types labelled A, B, C and D. Type A viruses are responsible for all the major, serious outbreaks of flu in human populations and birds. Avian influenza, caused by a Type A virus, can be Highly Pathogenic Avian Influenza (HPAI) or Low Pathogenicity Avian Influenza (LPAI). LPAI infections might cause only mild illness, while HPAI can cause severe disease and death, spreading very quickly through commercial flocks. If you could see it, the influenza virus would look like a hollow sphere containing the genetic core of the virus. This core enables the virus to take over the cells of an infected animal, cause the symptoms of bird flu and reproduce many more, infective viruses. The outside of the sphere is studded with protein molecules that protect the core and help the virus penetrate host cells. In the veterinary laboratory, two of these protein studs are known as Haemagglutinin (HA) and neuraminidase (NA). These proteins exist in many subtypes. The numbering of these subtypes gives each virus its unique, scientific identity. So the bird flu virus of current concern, the “HPAI H5N8 virus”, is a Highly Pathogenic Avian Influenza A carrying Haemagglutinin (HA) type 5 and neuraminidase (NA) type 8. The UK risk of H5N8 infection increases as migrating birds come in from Asia and Eastern Europe where the bird disease is endemic. Poultry keepers will be on the lookout for clinical signs of including swollen head, skin discolouration, loss of appetite, respiratory distress and diarrhoea. Scientists have detected 18 Haemagglutinin and 11 neuraminidase subtypes. Each combination of HA and NA proteins make up a unique, detectable identifier called an ‘antigen’. Testing for these AI antigens allows veterinary laboratories to diagnose whether flu-like symptoms in poultry, or death in a wild bird, might be due to HPAI or a less significant disease. FASTest® AIVAg is an on-site diagnostic test kit test that detects all HPAI avian influenza virus types. Screening poultry on-site with FASTest® AIVAg enables the veterinarian to review a symptom-based diagnosis with the potential for early protection of flocks, and reduction of likely economic loss.